If you give a kid a meter stick... | Primary Planet! Even though I missed the meet up (which still makes me very sad!) I was inspired by the Spring Teacher Blogger Meet-up Blog Hop! to try to find something blog worthy everyday in my classroom. I found several today! 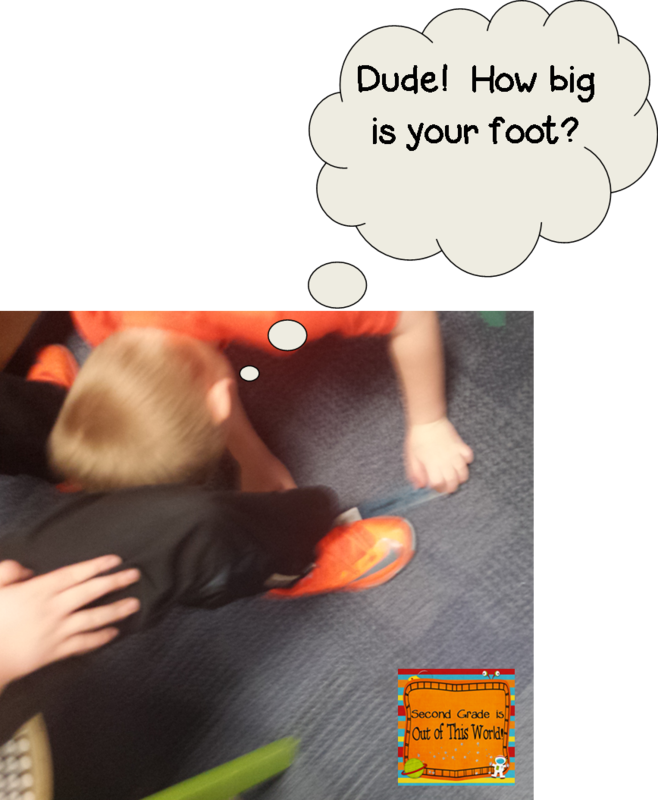 I was so tickled by how much fun my kiddos had with their measuring tools I just had to share! Aren't they adorable? The words in the though bubbles are actual quotes from today! My goodness! It always amazes me what gets kids these days excited! (I sound like an old fogey don't i?) 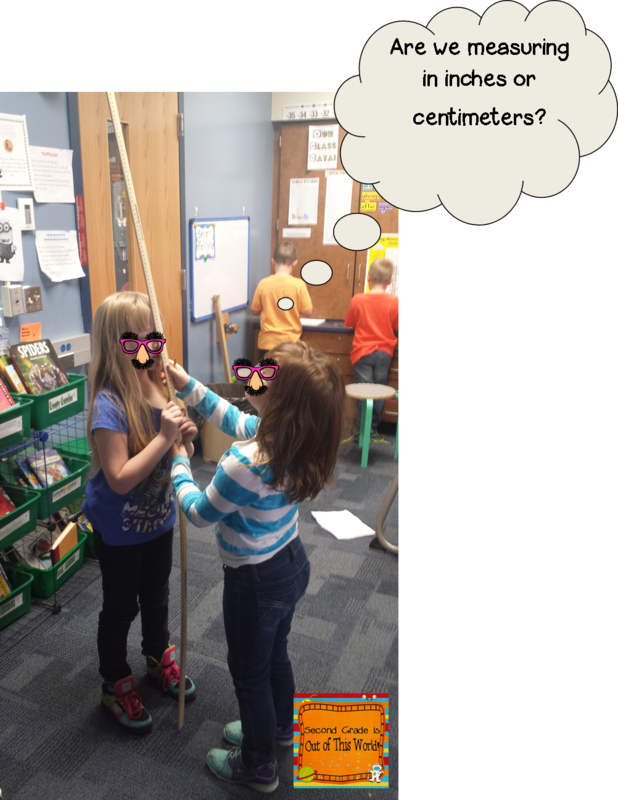 Today we got out the meter sticks and did some serious measuring around the room. Not only did we bust out the meter sticks, but we also had out rulers and tape measures! Nothing in the room today went unmeasured! It was a blast! What did you do today? YAY! Great post! I often put too much pressure on myself to make my posts super, incredibly exciting... and forget that readers would most often keep things "real!" I love reading about little victories and simple, yet inspiring ideas! Thanks for inspiring me! Thank you! I really enjoyed reading all of your posts about the Spring teacher meet-up! I so wish I could have been there! I will be sure to be there for the next one! Thanks so much for stopping by! 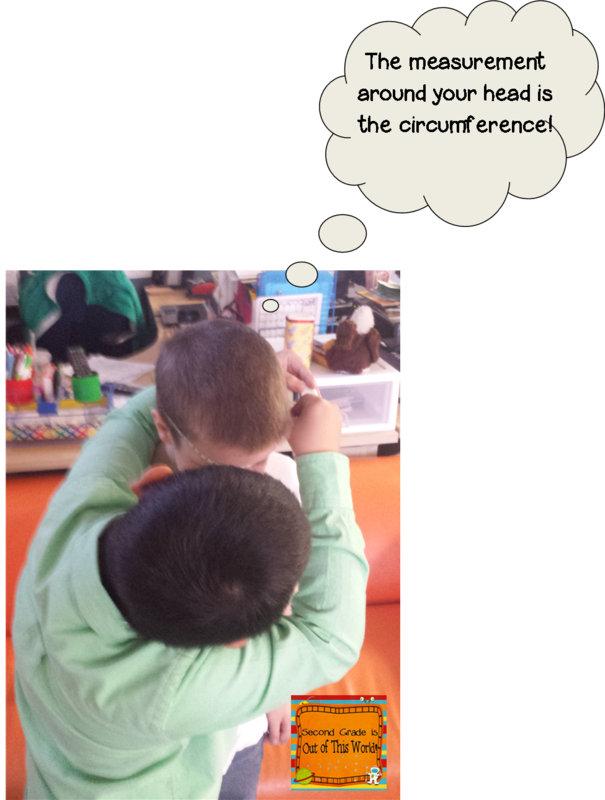 We also measured today using inches. We did perimeter today and area tomorrow. I found 2 freebies for these second grade skills on the blog stepintosecondgrade.blogspot.com My kids loved making the perimeter cones today! Thank you so much for the tip! I will go and check it out! Thanks for stopping by!